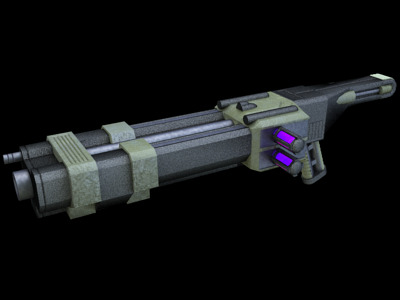 SlotsThe Stouker is a heavy assault weapon, often affectionately dubbed a hand cannon by those who use it. A devastatingly powerful weapon, the Stouker is heavy and rather unwieldy but makes up for this with its sheer destructive ability.As the name suggests, the Stouker fires a blast of concussive energy at a range of up to thirty meters, and the subsequent explosion and shockwave are capable of vaporizing anything in a 4 meter radius. Given the splash damage and impact value of the weapon, it is not surprising that the Stouker has been outlawed on many worlds.While the Stouker is almost unmatched in terms of stopping power, it is requires a large amount of experience and skill to handle effectively. This lead to the weapon only being used by the most elite troops, mercenaries and bounty hunters across the galaxy. The weapon is also favoured by Jedi hunters due to the inability of lightsabers to block the Stouker’s blast.